Using a exercise variety to reach your fitness goals. Why add exercise variety to you current exercise plan? YOU DID IT! You finally got yourself in a fitness routine. Three months later, you are not seeing the results you were seeing when you initially started training. You've lost weight, built up muscle, changed your diet...but now you've hit a plateau. The number on the scale hasn't changed all that much, and your weight lifting gains have come to a halt. Frustration sets in. What to do? First, take a look at your current program. Are you doing the same type of cardio day in and day out? If you've answered yes, it's time to make a change and add some exercise variety to your current routine. Your body will not change if your routine doesn't! 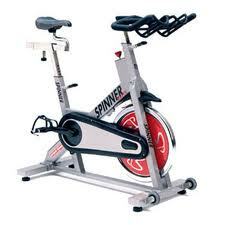 For example, if you've been taking a spin class 5 days a week, it's time to integrate another type of cardio exercise. Instead, take a spin class twice a week. On another day, select an interval program on a treadmill for 45 minutes. Another day, try taking a HIIT (High Intensity Interval Training), boot camp or cardio sculpt class. "Crossfit" has become extremely popular, and offers a great intense cardio workout. Lastly, use your final day as a "potluck" day. Second, are you using the same weights in a strength training program and performing the same number of repetitions? If so, time to up the ante. Increase your load. To avoid injury, only increase your weight load by 3-5 lbs. At first, the difference may be challenging, but with focus, concentration, and a positive attitude, it will soon become just as simple as with the weight load you originally started with! Change the order of the exercise routine or add new exercises and tools, such as kettlebells to add variety to you current workout plan. Challenge to take yourself out of your regular fitness comfort zone and try something new like yoga, or even a tire workout. Always remember, once a fitness program becomes either too easy, consistent, or mundane, it's most likely because your body has adapted to it and is thirsty for a change! To return from the exercise variety page to the Fitness Tips page click HERE.